One of the fundamental rights that everyone in our country enjoys is the right to remain silent. This right is guaranteed by the Fifth Amendment, and applies to everyone including citizens, non-citizens, and juveniles. The right to remain silent can also be misunderstood at times. For example, it only applies to situations where a government official is doing the talking. 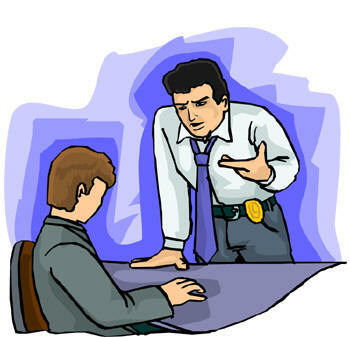 A person in a private setting may not be able to exercise his or her right to remain silent. But once a person chooses to speak to a government official, who in most circumstances is a law enforcement officer, he or she has a legal obligation to be truthful. If not, the state can pursue criminal charges for the crime of making a false statement to a law enforcement officer. The crime of making a false statement does not apply to every single thing that a person says to an officer. For example, if a person under investigation for DUI says they drank 2 beers and later admits they drank 4 this would generally not rise to the level of a separate crime. There are two basic requirements that must be met under Maryland law for the state to prove this crime. The first is that the state must prove that a defendant knowingly made the false statement. If the defendant was mistaken this is not a crime. Keep in mind that the statement does not have to be completely false, as it is still a crime if parts are true. Second, the state must prove that the statement was made with the intent to deceive the law enforcement officer, and to cause an investigation or other action to be taken as a result of the statement. The most common circumstances surrounding this offense are when a person untruthfully tells the police that someone has committed a crime such as an assault, and the police end up doing a criminal investigation as a result of the statement. This situation is common in domestic violence incidents. Another common cause of a false statement charge occurs when a person who is under arrest gives a fake name or wrong name, address or date of birth to a police officer in the course of an investigation. Police are especially sensitive about people lying about their names and often use this crime as an add on charge even if the person later comes clean about their identity. If you or a loved one has been charged with making a false statement it is important to contact a defense attorney immediately for a free consultation about your case. Benjamin Herbst has handled dozens of these types of cases, and knows the exact requirements of the law, and the best ways to have your case dismissed. This crime is a misdemeanor and carries a maximum jail sentence of 6 months along with a possible $500 fine. There may be serious collateral consequences of a conviction as well because this offense can be classified as a crime of dishonesty or moral turpitude. Do not walk into court without an experienced attorney by your side! These cases often come down to the police officer’s word, and the word of a cop should never be the last word.